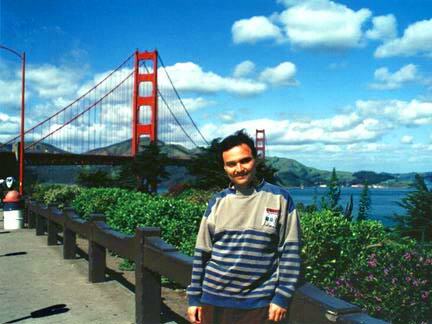 Alfredo Gomez and the Golden Gate Bridge. Courtesy photo. Alfredo Jacobo Perez Gomez is a San Franciscan of El Salvadorian descent who created a web site for people considering a move to San Francisco and another for alumni of Washington High School. Alfredo says his City web site is "fiercely non-commercial," which is why his advice comes from the heart.